When it comes to Ginger, I’ve discovered it as a spice/seasoning tool rather late. Growing up, we only used it in teas but once I started cooking jollof rice a few years ago I discovered that ginger has a a lot of potential. Grinding up ginger and adding it to marinara sauce or anything that contain tomatoes livens the sauce. However, when doing this, just add a tiny bit. You’d be surprised how it intensifies other ingredients. 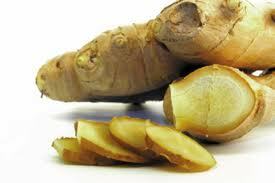 Now ginger has a spicy element to it, which one should be aware of when cooking with it. I’m still doing my research on ginger and exploring its many uses. I like to explore ginger outside of its traditional uses to make dishes interesting. Puts a brand new spin on our favorite foods. Stay tuned as I share my discoveries with you!